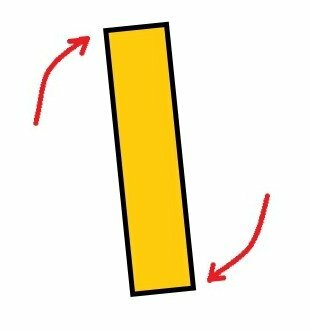 To skew nail timber together is not just a method to get a good strong fixing but it can also be used to straighten timber up that is twisted or just too stubborn to be/stay where it is supposed to be! This is a method you may use when joisting, building timber stud walls, fixing roof rafters or almost any other number of jobs where nailing lengths of timber together is required. Noggins are a common example of where you may need to toe nail timber together too. In an ideal world you would always be able to nail straight through the back of one piece of timber into another for a good strong fixing - like in the picture below. This type of fixing is easy to achieve and really strong/solid. It will stay true for a long time. It isn't always possible to nail timber together like this though. Perhaps the timber you are fixing to is a joist or stud that is hard up against a wall and so you cannot get behind it. A wall or floor plate that you cannot get above or below. Alternatively it could be too thick for you to nail through the back of because you can't find a nail long enough. It could be in a corner, by a ceiling or just too awkward to get to. The list goes on..
How many skew nails and at what angle do you drive them? The number of nails will depend on the size of timber being fixed and its application. For stud-work interior wall framing using 75x50 or 100x50mm timbers I would use 75mm - 100mm round wire nails. I would nail two into one side, then one from the other in the middle of the timber. This is usually enough for stud walls but if you were joisting with 150mm joists for example you may use more (although these should also be supported by joist hangers). Additionally, you should aim for one third of the nail to finish in the loose/first piece of timber, and the remaining two thirds to finish in the timber you have fixed to. 45 degrees is not steep enough, aim for more of an angle. You can also toe nail timber like this to straighten up timber that is slightly twisted. 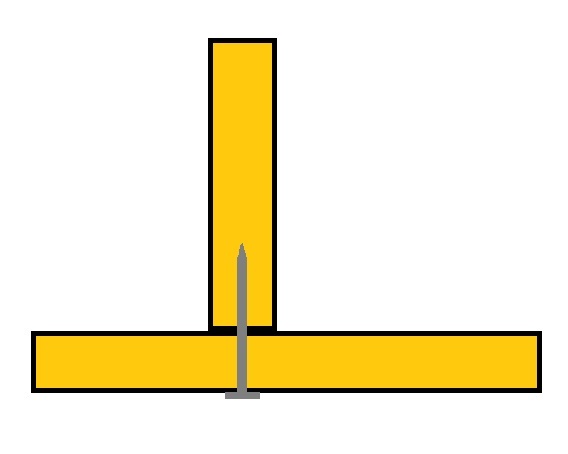 Perhaps you have fixed one end of a joist to a beam, and when you get to the other end (or your work buddy is on the other end) by toe nailing the timber into the opposing plate it is possible to straighten the joist up at the same time as nailing it in. Tongue and groove boards can be secretly nailed by skew nailing carefully through the tongue of the board at an angle where it will later be hidden by the groove of the next board. It is important to go through a part thick enough not to split the tongue away and unless you are using a nail-gun you may even need to drill a pilot hole first to stop that from happening. Have a comment or question about how to skew nail?